After getting in touch about shooting my wedding, I ended up forming a professional friendship with my wonderfully talented wedding photographer, and we have since worked together on several occasions. 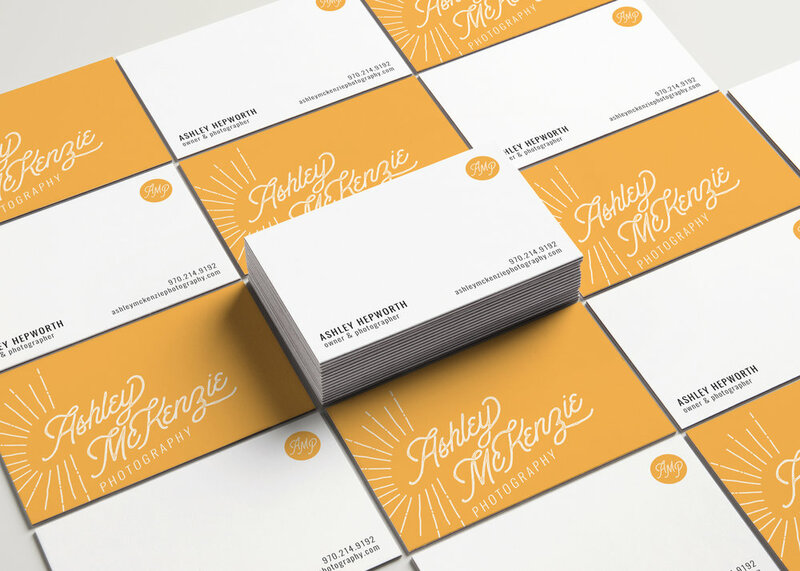 When Ashley decided it was time to refresh her brand, she wanted her new look to feel romantic, colorful, nostalgic, playful, and experienced. Inspired by her body of work, I set out to develop a logo that captured the brightness, fun, and polish of Ashley's style. I gotta say, I love the way everything came together. By the way, she totally nailed our wedding photos—bohemian and beautiful. If you're getting married in Northern Colorado, check out Ashley's website here and book early!